Today IAm Back With Another Data Loot For Reliance Users , This Is Not Any Vpn / UDP Or Any Proxy Trick , This Is Official Offer By Reliance InstaCare Where They Are Giving Free 500 Mb Data Just For Downloading Their Official App . 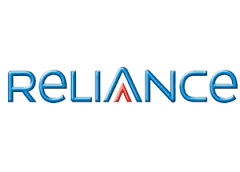 This Is Promotional Offer by Reliance .Loot Now This Reliance Free Data Loot . • Offer is valid only for new user. • Offer is valid only for First time installations. • Repeated installation are not counted for free data.